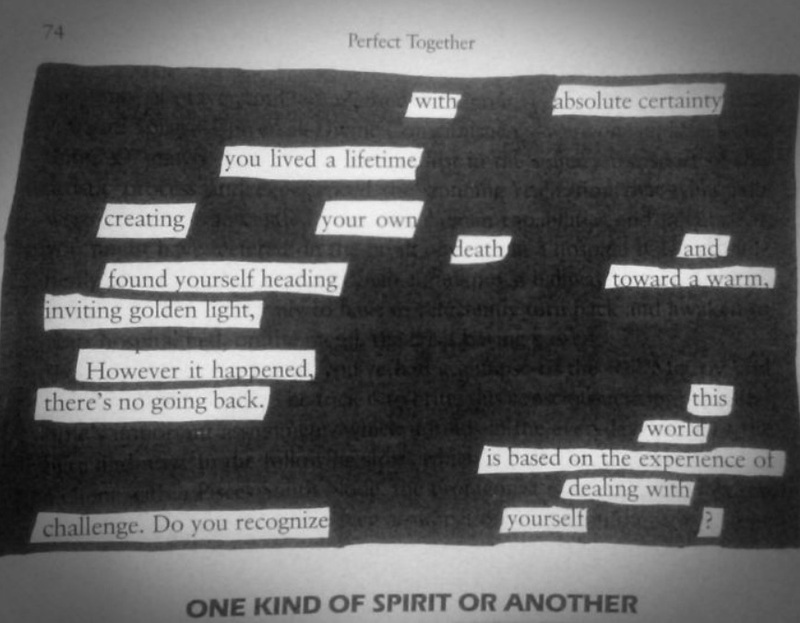 My first "Blackout Poetry" piece. This is pulled from an independent spiritual book entitled, "Perfect Together- Astrology, Karma & You" by Alice Loffredo. I receieved it when I worked for the author's publisher. I really love doing these; it's a good examination of my subconscious and a creative form of self-expression.